Max was only one year old when he first started throwing a ball in the air and catching it - “up ball, up ball… ball, ball, ball.” He grew into a talented athlete, obsessed with all sports, and playing most of them. Baseball, soccer, basketball were his favorites; his coaches said he was special. Little did they know that Max’s life was about to change forever. In February of 2004, after Max was sidelined with headaches for over a week, an MRI showed that Max had a massive tumor in his brain. Our family was devastated by this news. A few days later he had surgery to remove an aggressively malignant brain tumor. He was just 8 years old. His surgery was followed by an intense year of treatments. Beginning with daily chemotherapy combined with cranial spinal radiation, and followed by monthly inpatient chemotherapy. Not only that, but the surgery left him unable to walk, and he suffered the loss of coordination on his right side, and overall loss of balance. Because of this, his treatments also included rigorous daily physical, occupational, and speech therapy while living at the hospital. The intense treatments and protocol that Max received from Seattle Children’s Hospital saved his life. 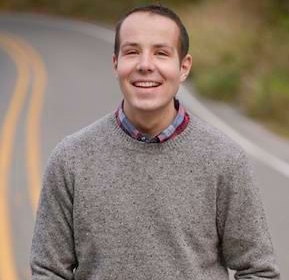 We are so proud of how Max has fought through his illness and all of the side effects from cancer treatment that have plagued his young life. Though his surgeries and treatments curtailed his athletic prowess, he remains the sports fanatic he always was. Today, Max is 19 and attends Whitman College. It was through research funding that the protocol Max was able to receive even existed, and the funding came primarily through private fundraising events. Our family has become dedicated to helping this cause, and furthering research to save more children, like it has saved the life of our child. Seattle Children’s is making huge progress in many areas to achieve this goal.